There’s a lot to be said for your next holiday being a real adventure. And an adventure in the African bush really elevates it from just a break away, to a total other world away – your normal cares drift away when you slow to the pace of an elephant or hear the roar of a lion by night! 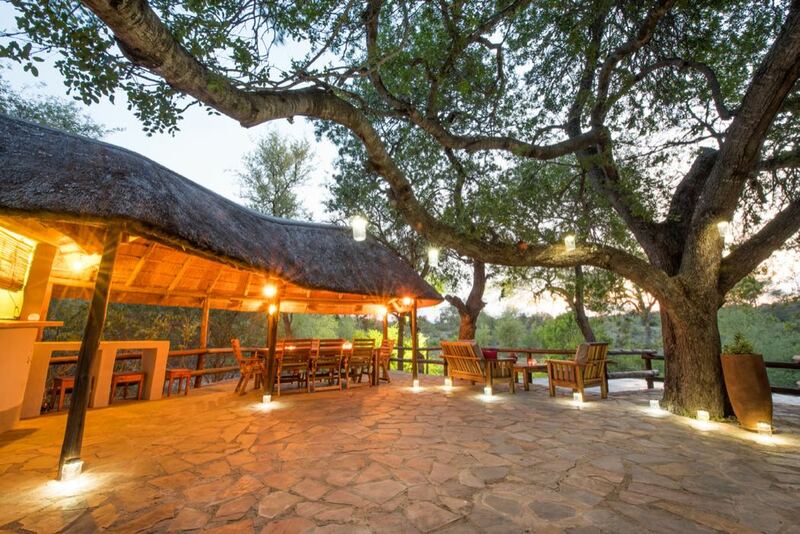 The beautiful Ku Sungula Safari Lodge is located in the 40,000 hectare Balule Private Nature Reserve, in the Greater Kruger Park in South Africa. 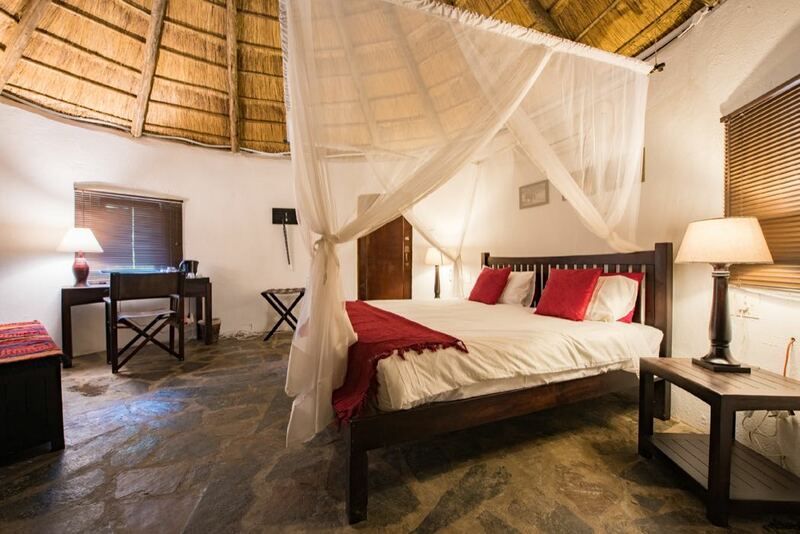 The lodge has a romantic feel with echoes of the bygone era of safari, as well as excellent facilities including a pool and air conditioning – not always a given on safari! Direct flights from London to Johannesburg take just under 11 hours with a very easy to manage 1 hour time difference! The lodge can arrange transfers from the airport which take just under 5 hours or alternatively you can transfer by air to the local airport. 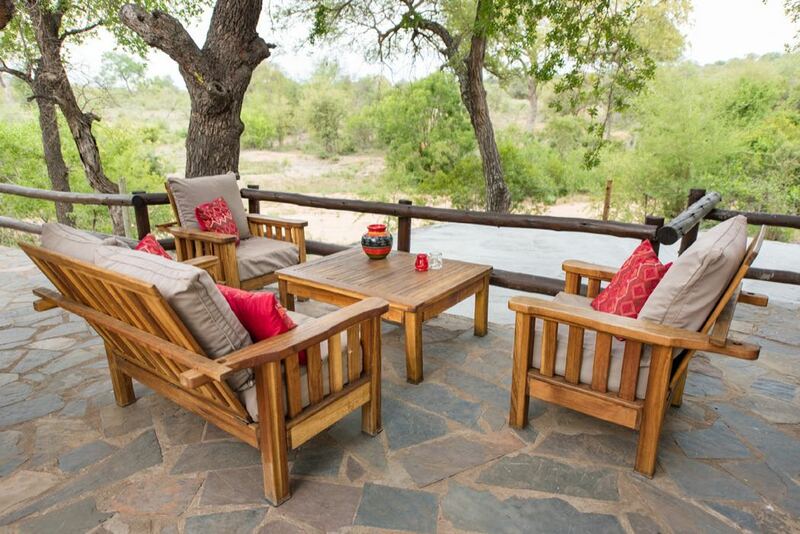 The lodge and surrounding accommodation are safari styled and luxurious. 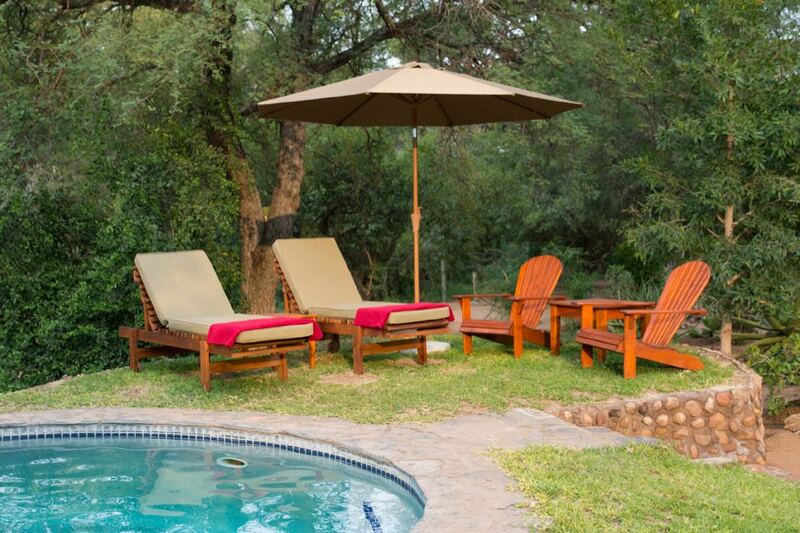 The lodge includes a stunning, shady terrace which overlooks a waterhole – the perfect place to attract local wildlife, there is also a pool and camp-fire. The staff are warm, friendly and knowledgeable, nothing is too much trouble. The location of the lodge is rather special, you really are right in the wilderness, not only is the serene and peaceful, but it really means you are right in the natural habitat of your magnificent animal neighbours! The reserve is home to the Big 5 and many other animals, and is a paradise for birds. 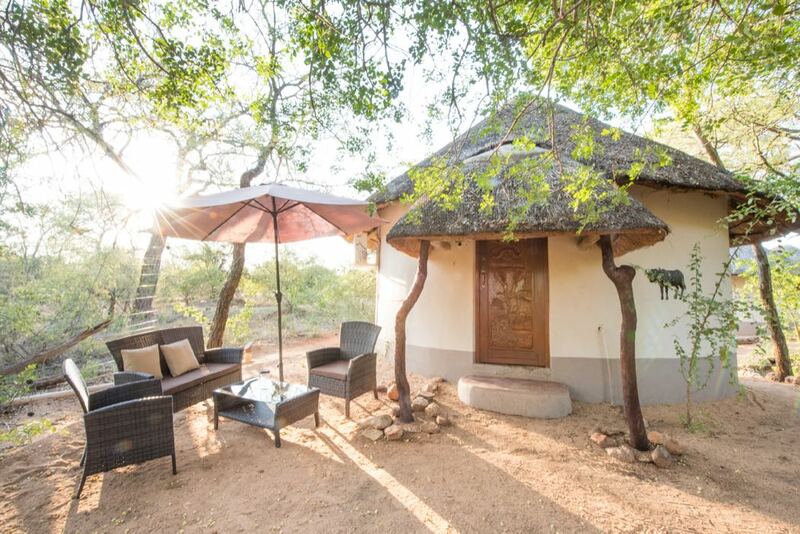 Well this is the bush, so your room is actually a “Rondawel” – effectively a Westernised version of a traditional African hut. These beautiful buildings blend in perfectly with the surrounding bush and are set apart from each other to allow for privacy and stunning secluded views. 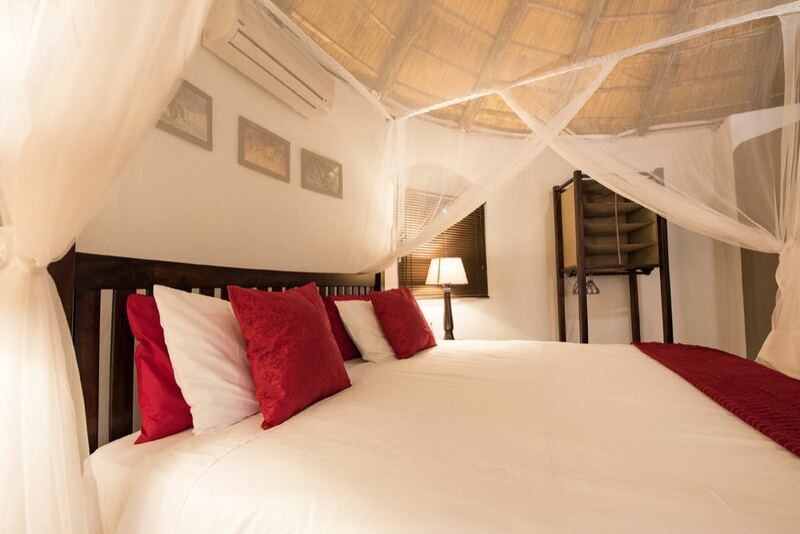 Each Rondawel features a comfortable double bed, draped with mosquito nets for an authentic African feel that is rather useful too! They also include an ensuite bathroom, air conditioning, tea and coffee making facilities and a private terrace. Breakfast and dinner cooked and served around the camp-fire is a memorable treat, but dinner under the stars seems to me the epitome of safari dining. The cuisine is traditional, varied and delicious! While the pool is a great spot to cool down, the most exciting thing about the pool has to be the potential view – there’s something rather unique about watching giraffes, elephants and impalas stroll past as you bathe! For your safari adventure, there are many options; there are several set packages including a mixture of bush walks, game drives, microflight, boat trips, hot air balloon rides, horseback safari or alternatively, you can personalise a trip to your own needs and wishes. The guides and trackers are expert at bringing you thrillingly close to the Big Five whatever your chosen method of transport. There is also a nearby endangered species centre, reptile park, rehabilitation centre, plus you can go on a cultural tour of the local town. All the Rondawels have their own unique views but if you pick one on the outer corners, you’ll hear the lions roaring at night – a rather magical sound! 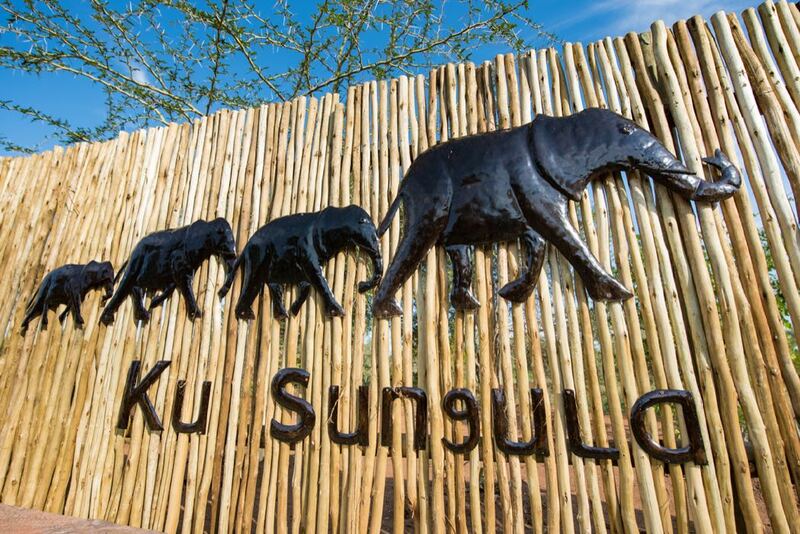 For a real departure from normality, an African safari offers a great adventure; Ku Sungula Safari Lodge in the Greater Kruger Park gives you the chance to have that adventure in luxurious comfort, right in home of these glorious beasts.